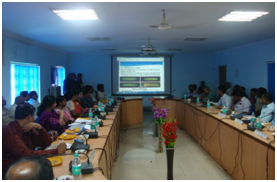 Implementation of Rajbhasha on Secunderabad Division. According to Article 343 (1) of the Constitution, Hindi is the official language of the Union of India. Therefore, in order to ensure the compliance of official language and legal provisions and to promote the use of Hindi in government work, the Department of Official Language was established in June, 1975 as an independent Department of the Home Ministry. From that time onwards, the department is working to increase the progressive use of Hindi in the official work of the Union. Rajbhasha Organization works under the instructions of Divisional Railway Manager Shri Amit Varadan and direct control of Shri P.C.Tamta, Apar Mukhya Rajbhasha Adhikari and Additional Divisional Railway Manager (Technical). Shri Arun Kumar Mandal is working as Senior Rajbhasha Officer. There are two Senior Translators and three Junior Translators working in Rajbhasha Dept. Secunderabad Division serves major portion of Telangana, Andhra Pradesh and smaller parts of Karnataka and Maharashtra states. Based on the languages, this division primarily comes under region "C" and secondarily under region "B". 14 Hindi Libraries are formed on the division to encourage and motivate employees towards Hindi. All these libraries have monthly magazines/books supplied for the benefit of employees.Most of the employees make use of this. The division is constantly striving to provide better facilities in these libraries. The "Premchand Hindi Library" located at the Divisional Office has been developed & face lifted to the mark. 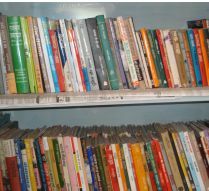 Similar facility is provided at ELS/LGD and ELS/KZJ libraries.On 23rd September, 2011 the Hindi Library located at Kazipet station has been shifted to nearby Railway Institute in a better ambience.Almost 22 magazines are being supplied to all these libraries as per the taste of the readers. 19 Official Language Committees have been constituted in the important stations for the implementation of the Official Language including one at DRM's Office. 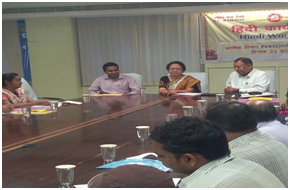 Hindi workshops are being organized from time to time to maintain and improve the Hindi knowledge of employees. 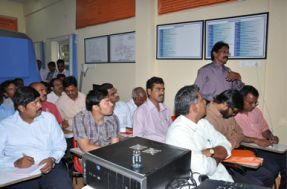 So far, a total number of 08 (eight) workshops have been organized, out of which 239 employees have been trained. Some pictures related to organizing workshop. 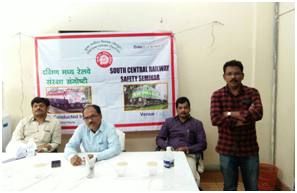 Hindi technical seminars are being organized from time to time to encourage technical work in Hindi and make them accessible to railway employees. So far 7 technical seminars have been organized in the year 2017. 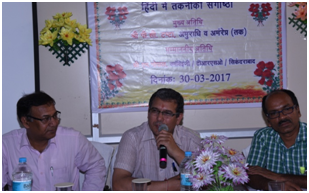 On 30.03.2017, Hindi technical seminar was organized at the Office of the Chief Crew ControllerOffice of Santanagar. On this occasion, Mr. P.C. 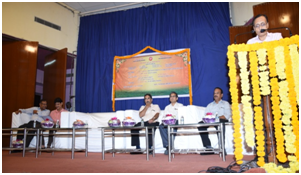 Tamta, Additional Chief Official Officer and Additional Divisional Railway Manager (Technical) were present as the chief guest. 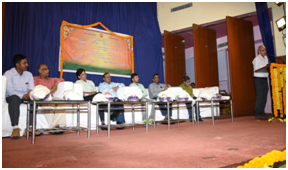 Shri M.Gopal, Senior Divisional Electrical Engineer (TRSO) chaired the function. On December 11, 2017 a technical seminar was organized in Hindi on the subject of security at BTC / Ramgundam. 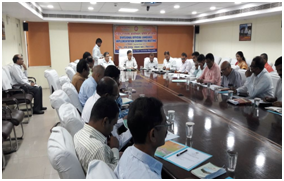 Mr. K.L Mina, Senior Divisional Safety Officer and Mr. M. Gopal, Senior Divisional Electrical Engineer (TRSO), Shri Arun Kumar Mandal, Senior Rajbhasha Adhikari and other officials and large number of employees were present in the seminar. 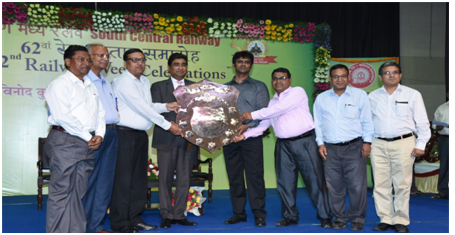 In the appreciation of the commendable work done in the implementation of Official Language Hindi during the year 2016, Secunderabad Division was honored with General Manager's Efficiency Shield during the Railway Week Celebrations -2007 held on 11.04.2017. 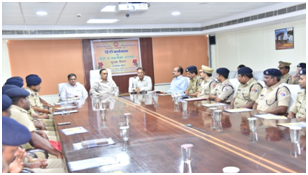 On 15.06.2017, departmental meeting was held with the staff of Personnel Department under the chairmanship of Apar Mukhya Rajbhasha Adhikari and Additional Divisional Railway Manager (Technical) Mr. P.C.Tamta. 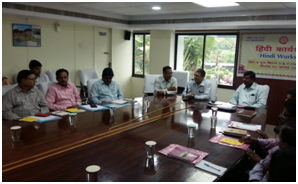 During interaction with the supervisors of all the sections, the AMRA instructed to pay 100 per cent compliance with Section 3 (3), original correspondence in Hindi, noting in Hindi, etc. 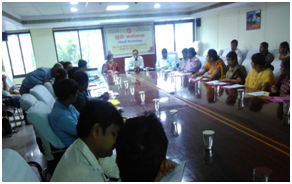 On the eve of Rajbhasha Fortnight Celebrations-2017 Hindi Essay, Elocution, Noting and Drafting, Poetry Recitation Competitions were conducted on 05.07.2017, about 50 employees from all over the division have participated.
. Rajbhasha Fortnight Celebrations were organized from 11th to 22nd September 2017 over Secunderabad Division. 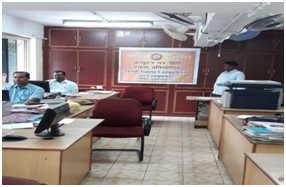 During this period various programs were organized for the promotion of Hindi.
. On 11.09.2017 Contact campaigns/Keying training on Computers were held in Personnel, Safety, Mechanical and Accounts departments.
. On 12.09.2017 Contact campaigns/Keying training on Computers were held in Engineering, Signal and Telecommunication, Electrical and Traction Distribution departments.
. On 13.09.2017 Hindi Quiz Competition was conducted and Shri Arun Kumar Mandal, Senior Rajbhasha Adhikari compered the programme. 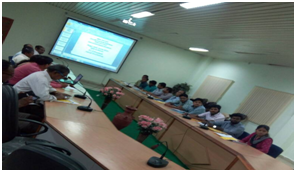 Very interesting and informative questions from Indian Railways, Rajbhasha, Mahabharat, Ramayan and Hindi Proverbs were asked.
. Official Language Quarterly meeting was held on 15.09.2017, in which Divisional Railway Manager and Additional Divisional Railway Manager read out the Hindi Day messages of Railway Minister and Home Minister respectively. 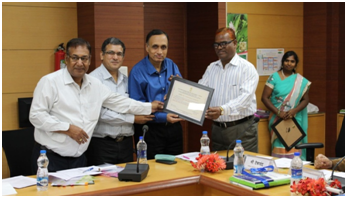 At the end of the meeting, a health related lecture was presented by Dr. Anil Dubey, Communicationist, National Institute of Nutrition (NIN), Hyderabad. 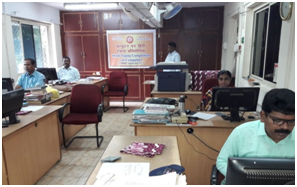 On 18.09.2017, typing speed examination was organized on the computer for the employees. 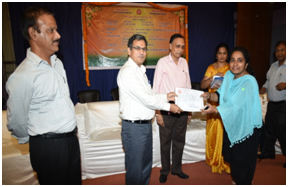 On 20.09.2017 in the meeting organized by Central Research Institute Of Unani Medicine, Hyderabad under the aegis of Town Official Language Implementation Committee (Central Government Office-I), Hyderabad, Divisional Railway Manager's Office, South Central Railway, Secunderabad division was awarded First Prize for the implementation of Official Language Policy in the Central Government Offices located in Hyderabad during the period between 01.07.2016 to 30.06.2017. On 21.09.2017, Kavi Sammelan and Prize Distribution Function was held at Rail Nilayam Auditorium. 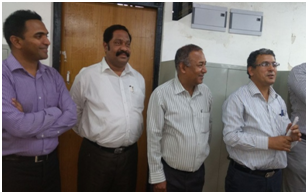 Mr. A.A.Fhadke, Mukya Rajbhasha Adhikari and Principal Chief Engineer, South Central Railway was the Chief Guest and the Chairman of the celebration was Mr. Amit Varadan, Divisional Railway Manager. 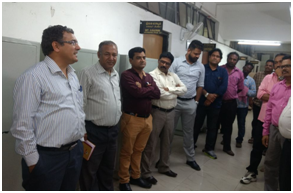 Shri P. C. Tamta, Additional Divisional Rail Manager and Apar Mukhya Rajbhasha Adhikari, Shri D.A.Subramanyam, Additional Divisional Railway Manager (Operations) and Dr. S.S. Sahu, Deputy General Manager (Official Language) were also present as Honorable Guests. On this occasion, a grand HINDI KAVI SAMMELAN was organized in which the poets (officers and employees) working in the South Central Railway participated. Dr. Anurag Madur, Additional Chief Medical Superintendent/Nanded Division, Mr. Vikram Gupta, Chief Engineer/Construction Organization, Mr. A.K.Singh, Secretary/Public Grievances, Shri Amandeep Kapoor, Senior Divisional Mechanical Engineer/Secunderabad Mr. Laxman Shivhare, Senior Official Language Officer, Head Quarter's Office, Mr.L.K.Pandey, Loco Pilot/Santanagar, Secunderabad Division, Mr.Kalimuddin Shadab,Technician/Aurangabad, Nanded Division and Mr. S.V.S.Naidu Chief Office superintendent, CPRO Office recited poems in which all took pleasure. This Kavi Sammelan was appreciate one and all. 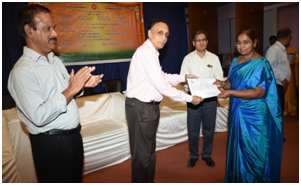 At the end of the program, around 350 employees were awarded under various incentive schemes. presenting the award Manager presenting the award. Technical Seminar was organized in Diesel Loco Shed/Kazipet under the chairmanship of Mr. P. C. Tamta, Additional Divisional Railway Manager and AMRA on 10.10.2017. Power point presentation on topics related to the role of chemical and metallurgical laboratory in the diesel shed, computerized brake system, traction motor operation, fuel oil system etc. was given. At the end of the program, 74 employees working in Hindi were awarded. 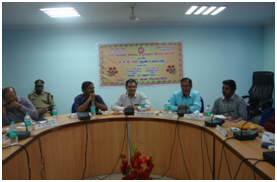 On 10-10-2017, a technical seminar was organized in Chief Crew Controller's Office/Kazipet under the Chairmanship of Mr. P. C. Tamta, Additional Divisional Railway Manager and APAR MUKHYA RAJBHASHA ADHIKARI. Speakers have presented their views on prevention of SPAD cases, stress control in crew, time management etc. 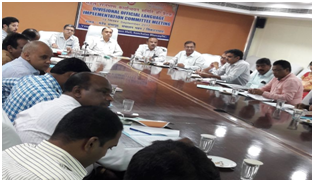 Thus Secunderabad Division is completely dedicated to fulfill the constitutional obligations and for the progress of Official Language Rajbhasha Hindi.